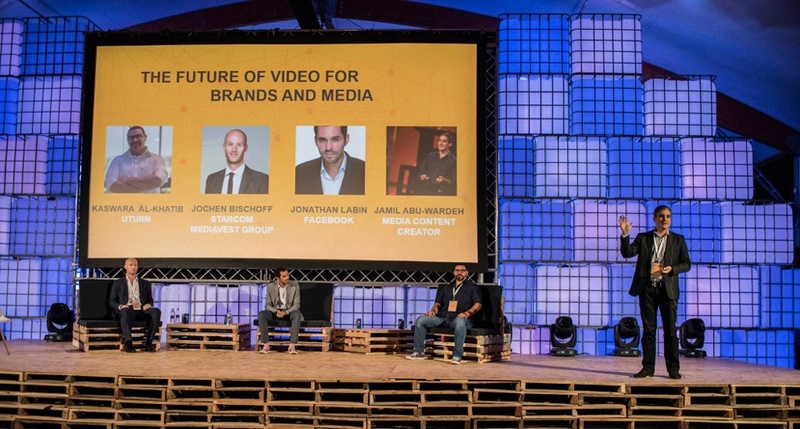 STEP Conference is the most disruptive technology and startup event in the Middle East. Held annually in Dubai, it brings the latest trends in tech, design and gaming, together with high profile international speakers and most promising startups from the region, all accompanied by live acts of up-and-coming regional indie bands and Dubai’s eclectic street food scene. To keep the conference in the buzz, it was necessary to increase targeting efficiency and marketing performance. For the third edition, STEP wanted to grow from a regional event to a world class tech gathering with richer and more engaging content, which would attract more attendees, startups and investors. To increase the awareness about the event on Facebook, STEP, together with ROI Hunter, took advantage of targeting based on automatized A/B testing of different audiences and campaign optimization through Google Analytics goals and automatic rules. Instead of starting broad campaigns based on interests, STEP firstly created custom and lookalike audiences in ROI Hunter, using STEP’s internal database list. The next step was setting up the metrics for campaign optimization, which STEP decided to do through Google Analytics goals such as "time spent by visitors on the website“ or "number of pages visited per session"
Thanks to deep integration of ROI Hunter with Google Analytics, these goals were then used as automatic rules to adjust bids and budgets of STEP’s campaigns (c.200) on an ongoing basis, freeing hands of STEP’s digital marketing team to focus on more strategic activities. To understand the taste and demographics of their audience, STEP gradually tested combinations of different ad creatives and messages using ROI Hunter’s A/B segmentation tool, which automatically splits hundreds of ads and target groups based on gender, age and other criteria. After identifying the best performing audience segment and ad placement, STEP only focused on investing in these formats to ensure that the campaign was shown to relevant audiences. STEP’s budget for advertising on Facebook represented more than 90% of their total marketing budget. Thanks to efficient targeting and re-marketing of Facebook users, STEP managed to triple the attendance from 700 people in 2014 to more than 2,000 in 2015 with 4x higher revenues from tickets sold to make them the fastest growing tech conference in the Middle East. "Facebook worked very well for us this year. ROI Hunter helped us tremendously save time and maximize returns from our campaigns. Particularly the combination of Facebook and Google Analytics data with A/B testing really helped us to understand who are our customers. Definitely using the tool again for STEP 2016!"